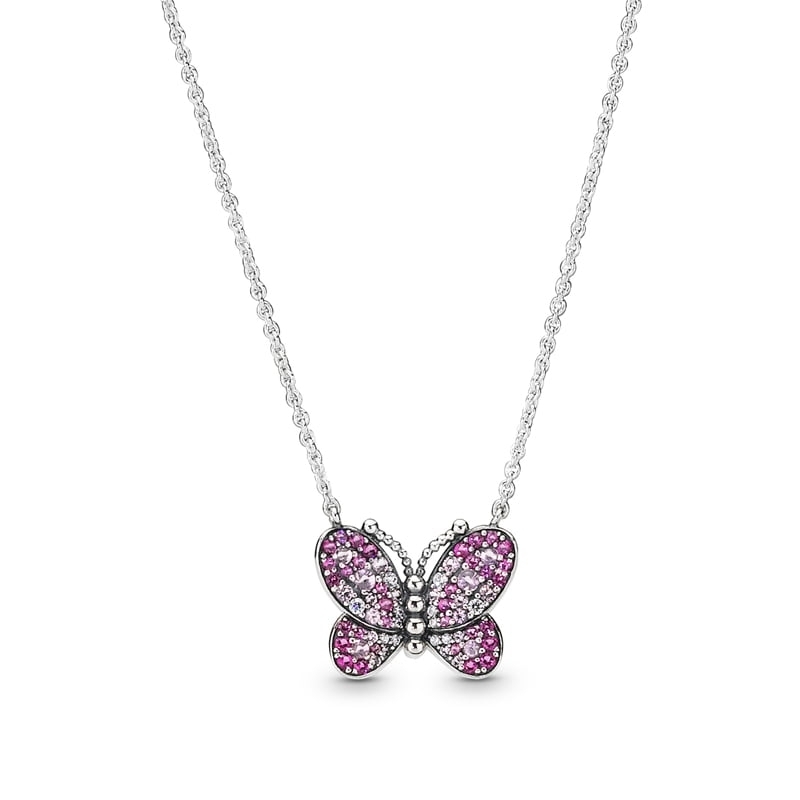 PANDORA Dazzling Pink Butterfly Necklace. With a glittering display of colour, this remarkable butterfly necklace is a must-have for any collection. Made from sterling silver, it features a sliding clasp so it can be worn at different lengths.